Hannah leads the Communications and Engagement team which is responsible for the coordination, planning and delivery of cross-institutional corporate communications, publishing, marketing and policy engagement. Hannah has fifteen years of communications and policy engagement experience working in, and with, academic institutions as well as organisations in the charitable, public and private sectors. Since joining IDS she has helped develop and strengthen the institutional approach to external affairs and marketing, as well as designed and delivered policy engagement training for postgraduate students, IDS staff and international research organisations and think tanks. 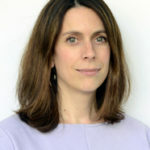 Prior to joining IDS, she worked in a communications consultancy providing strategic communications and engagement advice and running high profile political events for a wide range of clients including charities, unions, industry bodies and businesses. This project was a five year independent impact evaluation of the Millennium Villages in Northern Ghana. The evaluation is being led by ITAD, in partnership with IDS and PDA Ghana. Reflections on the UK Secretary of State for International Development's vision for UK Aid and Development. How can research evidence influence policy and practice? This Learning Guide seeks to draw out some of the key lessons from on successful approaches and impact lessons on effective use of research evidence to engage policy and practice. Integrated Water Resources Management (IWRM) has been promoted by international donors, global water organisations and financers as the answer to the water crisis in the Global South. This policy briefing, part of the special MDG series, examines how a post 2015 framework can help ensure women and girls rights to water and sanitation.